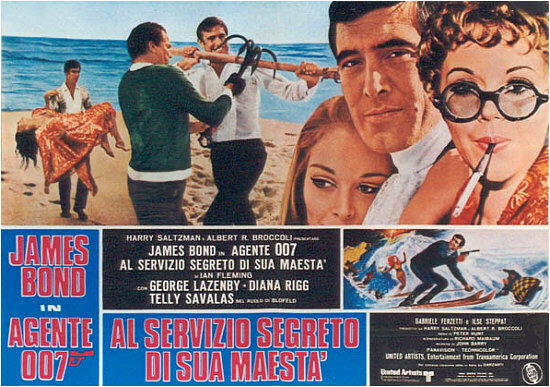 The most emotional adventure of his career begins for James Bond on a deserted beach where a young woman tries to drown herself. He rescues the girl and for his trouble is attacked by two toughs - the girl's bodyguards. 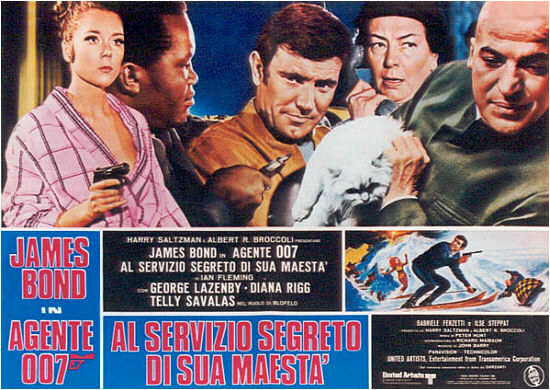 It soon becomes much bigger for 007 - the girl is Teresa Draco, daughter of crime boss Marc Ange Draco, who wants James to marry his wayward daughter, and in return he can provide 007 with information on an even more dangerous criminal leader - Ernst Stavro Bloefeld of SPECTRE. 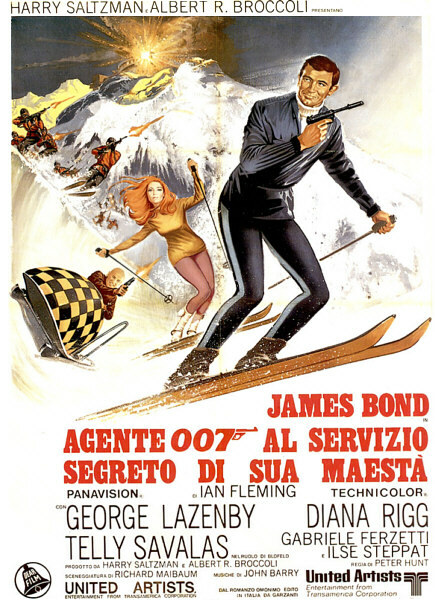 But both James and Teresa find more than they ever bargained for when their paths collide in a vicious pursuit in the snow-capped mountains of Switzerland, an enormous avalanche, and a smuggling ring for germ warfare against the West by Blofeld, who proves most difficult to kill and who exacts a revenge that James can never forget - or forgive. 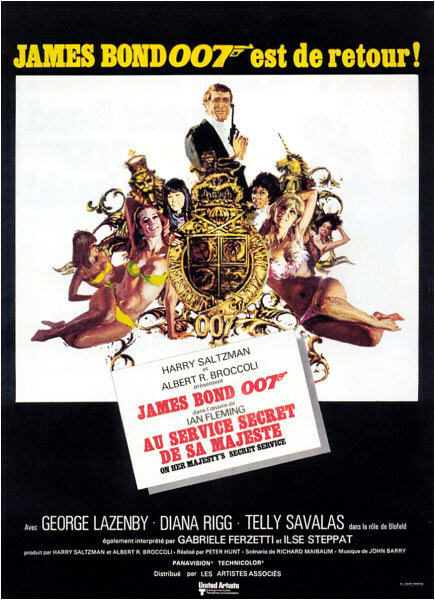 One of the best, 6 March 2005 Author: ThomasHayden Giving the series a radical twist after the glorious Connery's farewell to 007 movies in You Only Live Twice, the producers intended for the first time to introduce a new take on Bond, returning to the literary roots of the character, as originally described in Fleming's novels and short stories. 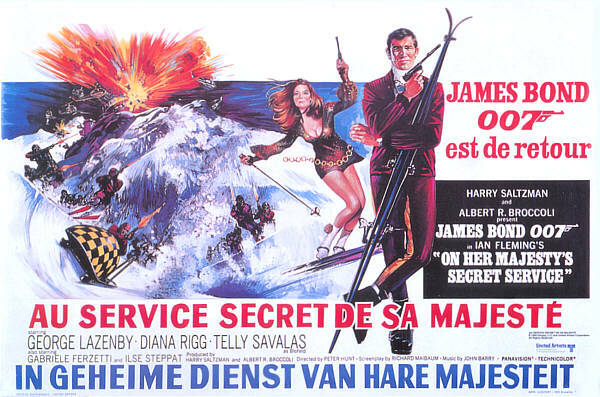 So Maibaum this time faithfully adapted one of Fleming's most successful and appreciated works: On Her Majesty's Secret Service. 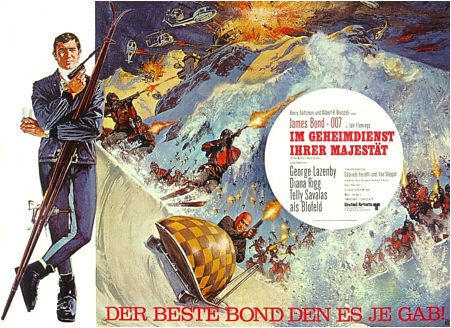 The screenplay is so close to the book that actually the movie is somewhat contradictory with previous Bond installments: Bloefeld and Bond don't know each other (??? ), and, in order to make the plot line look more logical, by changing the physical appearance of the villain, the part was given to Telly Savallas, who looks too amiable to be the bad guy, instead of the scarred and terrific Donald Pleasance. 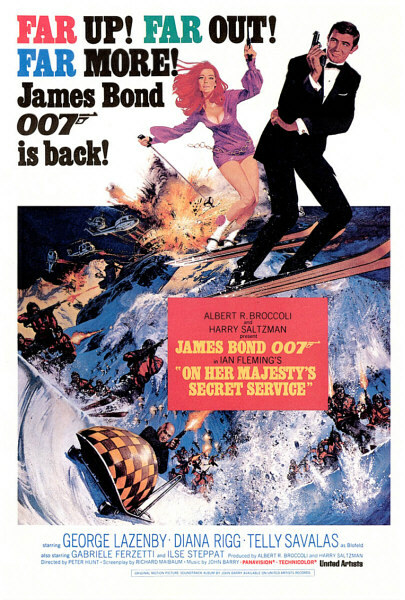 The plot is also very different from what the usual fans expect from Bond movies, being mainly focused on the romance between Bond and Tracy during the first half, then moving to Bloefeld's stronghold in Switzerland, and ending with 45 minutes of extremely exciting, non stop action.The film's pacing is pretty irregular. 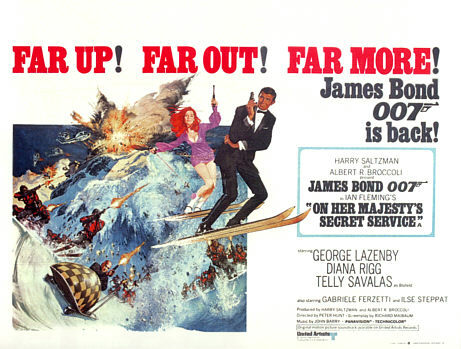 The romance is probably the best part, at the best of Bond tradition, mainly thanks to Diana Rigg's inspired performance as Tracy, perfectly depicting an emotionally unbalanced, yet appealing and glamorous, woman. 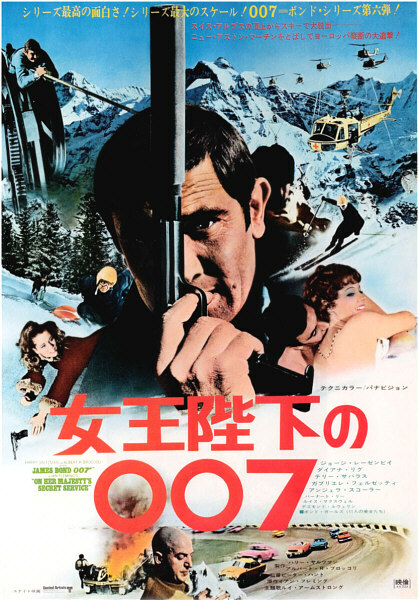 Lazenby's OK (at least at this part of the movie), but he lacks the masculinity and roughness Connery showed, what ultimately damages the movie, specially during the disastrous sequences which take place in Bloefeld's research facility in the Swiss Alps, which are laughable). There's nothing remarkable about them. (what a silly conspiracy!! ), but 45 minutes spent, which make the movie overlong. 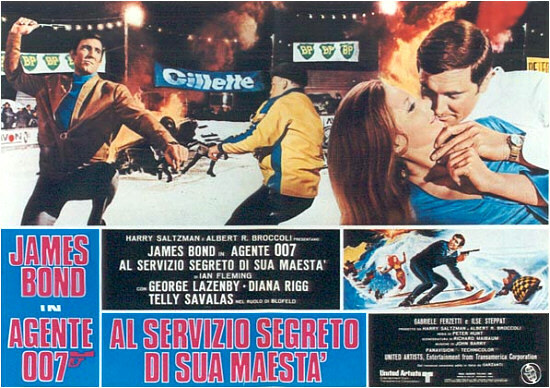 When everything seems ruined, the film revives and takes us on a wild ride on an action packed roller-coaster (ski chase, Bond and Draco raid on Bloefeld's base), with a brief romantic rest as Bond and Tracy talk about their future life in common (Bond a journalist? ),a very touching scene. 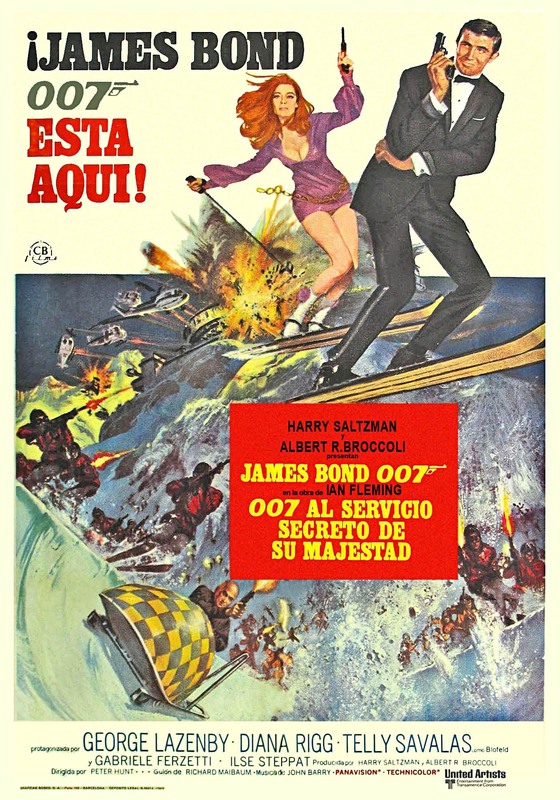 The ending remains as one of the top Bond moments, tragical and romantic. 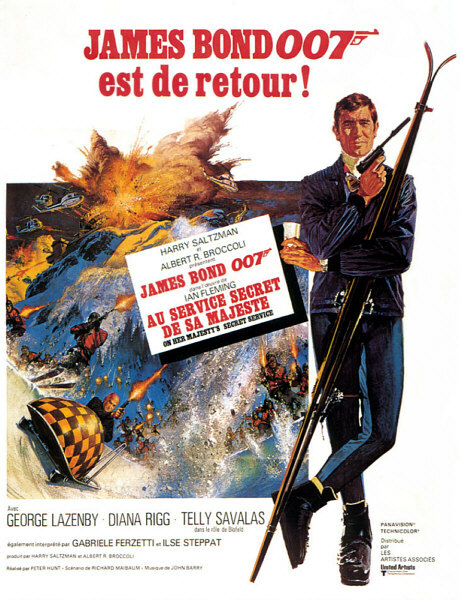 The stylish pre-credit sequence is equally brilliant,showing the natural elegance and "joie de vivre" we all associate with Bond. 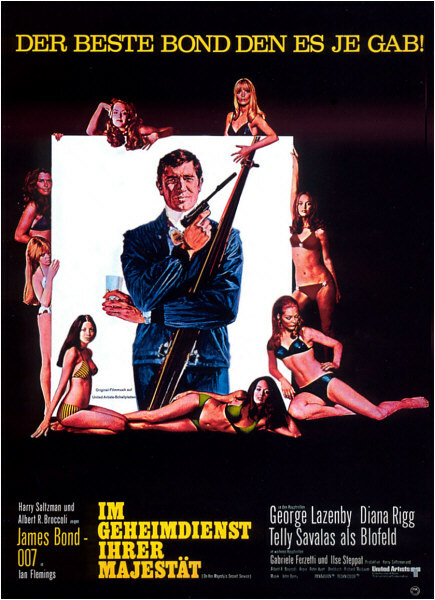 A question: what if Connery had accepted to play Bond this time? 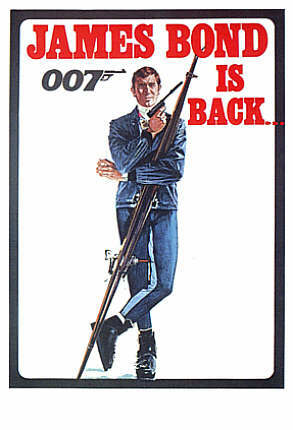 I think this could be the best Bond movie ever made. 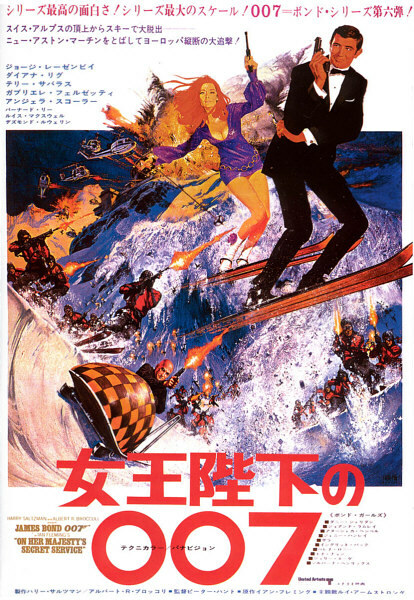 But the producers came up with a martial arts expert with no experience in acting, which sadly overshadows many good points(on Lazenby's defense, it was his first performance), but this film still intensely shines as an interesting, strange gem in the Bond canon.